Katalimata Court Apartments have a peaceful location on a side street with the centre of Ayia Napa within easy reach. The bustling Nissi Avenue is just a couple of minutes walk away and the bars and clubs in the centre of town are around 5 minutes walk away. 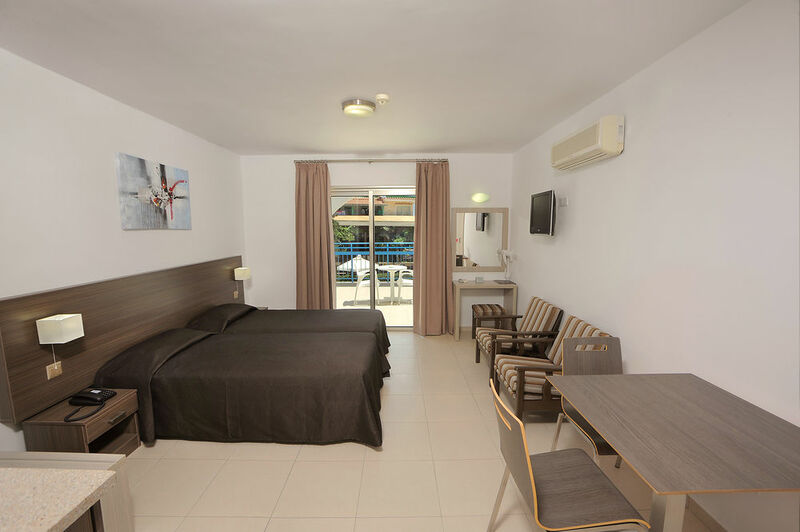 Simply furnished with all that you need to make the most of Ayia Napa's many attractions, thr Katalaimata court would suit independent travellers.